TOV PROVINCE, Mongolia , Oct 10 2013 (IPS) - Mongolia, 90 percent dependent on fuel imports from Russia and vulnerable to price hikes, is seeking to develop its oil shale deposits of at least 800 billion tons. The country recently signed a five-year agreement with U.S. company Genie Energy to explore oil shale “in situ”. Oil shale is essentially oil trapped in solid form within rock. Shale oil, also known as kerogen, is produced by pyrolysis, hydrogenation, or thermal dissolution, by contrast with shale gas, which is extracted by hydraulic fracturing or fracking. Jason Bane, communications director of Western Resources Advocates, an environmental group based in the U.S. state of Colorado, explained that while the United States has some of the largest shale oil reserves in the world, they are not commercially viable yet. “In Estonia they burn oil shale for energy like you would burn coal, which is not overly complicated. But squeezing kerogen [a fossilised material in shale that yields oil upon heating] out of a rock is a different idea entirely. Small amounts of fuel have been produced at various points, but a commercial process is only theoretical,” he told IPS. “If it were possible, oil shale production would be incredibly harmful to the environment, through air pollution and intensive water use,” he added. Experts say Mongolia is especially vulnerable to climate change. This landlocked Central Asian country is already experiencing water shortages in the Gobi desert, shrinking rivers and lakes, and desertification. However, Jeremy Boak, director of the Centre for Oil Shale Technology and Research (COSTAR) at the Colorado School of Mines, challenges this. According to him, the technology is being rapidly developed and holds commercial promise. “The opposition is citing data that is decades old,” he told IPS. Boak said while experimental, the technology is not untested. “Shell has experience in Colorado. Water use is now about one barrel of water for one barrel produced,” referring to unconventional energy expert Harold Vinegar, a chief scientist at Genie Energy, who previously worked with Shell. Vinegar had conducted pilot testing on oil shale technology but retired after Shell stopped the research. Then he joined Genie. “One cannot equate potential environmental impacts with certain environmental catastrophe, as some groups have tended to do,” Boak said. Geoscientist David Hughes with the Post Carbon Institute is aware of Vinegar’s work in Shell. Perhaps because the process is still being tested, transparency has been lacking. Sukhgerel Dugersuren, director of Oyu Tolgoi Watch, a Mongolian environmental NGO, didn’t know about the agreement with Genie until Canadian anti-tar sands and shale activist Macdonald Stainsby contacted her shortly after the announcement. Sukhgerel and Stainsby also learned another company, MAK from Mongolia, is working on oil shale projects near the Gobi desert. Her neighbour Tsetseghkorol, a woman who has lived 40 years along the river, said they don’t know much about Genie’s project, just that they are looking for oil and possibly want to build a plant. IPS contacted the Ministry of Environment and Green Development several times to obtain more information, but received no reply. Mongolia is part of the Extractive Industries Transparency Initiative (EITI), which publishes information on licenses, taxes and royalties paid to governments. When contacted, a spokesperson said they did not have information on the Mongolia-Genie agreement yet. IPS also contacted Genie’s headquarters in the U.S. several times by phone and email, but did not receive an official reply. Mongolia is keen on investment. Although it is one of the world’s fastest-growing economies, foreign direct investment this year is 42 percent down from last year. Minister of Mining D. Gankhuyag has said he looks to oil shale as a welcome new investment opportunity. 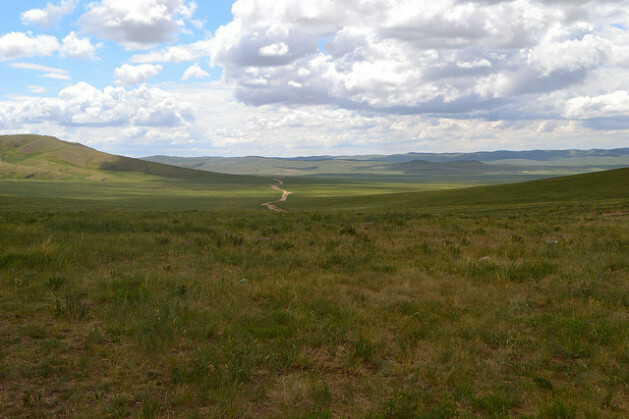 “The Mongolian government has always tried to find a balance between economic development, and conservation of the environment and culture of which they are justifiably proud,” said Rebecca Watters, director of the Mongolian Wolverine Project, which studies the impact climate change has had on the shrinking habitat of the endangered species. “The timelines involved in thinking about climate impacts are much longer than the timelines involved in a 50-year mine development, but I hope that they give consideration to these issues all the same,” she told IPS. Jason Bane misrepresents the truth when he says that Estonia burns oil shale, while ignoring the fact that they produce more than 8000 barrels per day of shale oil from oil shale. These are commercial operations, using commercially available technology to process oil shale at the surface. In situ technology is in the experimental phase, but ignoring commercial surface processes is deceitful. There is no evidence that, properly implemented, shale oil production is inherently more environmentally damaging than coal, although as a boiler fuel, it does produce more ash. This is why Estonia is moving toward more diverse sources of electrical energy. Shell did not shut down their process – they completed the freeze wall experiment. Finally, no one working in the oil shale business calls shale oil “kerogen oil.” All oil is derived from kerogen, so all oil is kerogen oil. Mongolia is a beautiful country with abounding resources. I would consider Mongolia as a young democracy with peaceful existence. It would in fact behoove the country to try their hand at developing oil. Oil production in their country would provide jobs to Mongolia’s citizens, would provide a product they could market to improve their economy, and would save their country much money if they didn’t have to depend on other countries for their oil usage.